Omygosh ... That. Was. Amazing!!! Loved it! Did anypony else see that uniform Derpy was wearing at the end? Mailmare Derpy confirmed? So, I finally have watched the episode, and just have one tinny little question...Dose Rumble not attend the same school as everypony else in Ponyville? Is he too young? He seemed old enough to be the only foal to be able participate in the tornado. I was hoping he would get at least a little bit of screen time this season. But yeah maybe there's another school in Ponyville. What would happen if Spoiled Rich met Upper Crust? I feel that the episode was good. I think the pacing kind of changed near the end, but other than that I have no complaints. I just feel so many people give too much credit to the writer fpr this episode (I forgot who it was). I feel it was an easy episode to write due to how much the episode covered. But as I said, the pacing was good in my opinion. I liked this episode. The pacing felt rushed (like Magical Mystery Cure,) so it may have worked better as a two-parter. I uploaded this segment of the episode because no one else had at the time. I've put off watching this episode till now as I wanted to wait for a few episodes to be released so that I can watch several episodes in a row. Having not seen any spoilers and going in blind to watch the episode, I have to say that I enjoyed it tremendously. To my surprise, the episode was replete with catchy, memorable songs and there was never a dull moment throughout the entire episode. The reason behind Diamond Tiara's arrogance and incessant name-calling was finally addressed the episode as well, which showed a emotional side to her that we've never previously seen. Moreover, I nearly spit out my water when I saw that the CMCs had acquired their Cutie Marks. I mean, we've all sort of prognosticated that they would get it eventually, but I never figured that this episode would be the one. The brief flashback showing their previous efforts and adventures was heartwarming to say the least and the CMCs have came a long way since then. Props to the fantastic Amy Keating Rogers for having outdone herself yet again! That being said, I am intrigued to see what the writers have in store for future CMC episodes, considering that the CMC episodes before this one have usually been centered around getting their cutie marks one way or another. #Feels in that Diamond Tiara song (totally NO tears). I think I might have broken my vocal cords when they got their marks!!!!!!!!! About a year ago, I posted this on "How will the CMC get their cutie marks?" I think I have a theory as to why their cutie mark is not appearing: It's because they're actively trying to see if it will appear. What do they all have in common besides Rainbow Dash's Sonic Rainboom? They were all NOT focusing on getting their cutie mark, and it appeared when they found their purpose in life. Applejack: Realizing Sweet Apple Acres was her home. Rarity: Finding beautiful gemstones to help make other ponies look their best through fashion. Rainbow Dash: Discovering she loves flying fast and winning! In all the above, save Twilight, none of them had the appearance of their cutie mark pointed out to them.  I believe if the CMC actually stop asking, "Did our cutie mark appear?" and checking their flanks, the probability will go from "Never" to "Will Someday" Whether or not this will happen onscreen in the show or not, that remains to be seen. After seeing this episode, I guess I was right. Once the CMC decided to stop seeking their own Cutie Marks and help other ponies discover their Cutie Marks, it finally happened! I rewatched brief clips of the ending, and all I'm thinking is "Dude, the heartwarmingness of the episode is gonna pretty much make all of my CMC fanfics look like trash. :P"
I think that giving Button a big role would be risky. I'm sure they wouldn't give Button a voice that wasn't ShadyVox. I must have watched this episode five times now, not including reaction videos. It was great. Sure the pacing felt a bit fast, but that's a minor issue when considering all the great stuff this episode threw at us. The songs were just great as well, especially Light of Your Cutie Mark, which I still have stuck in my head. Awesome facial expressions from Diamond Tiara, you could tell the animators had fun with that, especially her Egoraptor impression. Anyone have ideas for what to name all those background ponies that popped up in this episode? I'm specifically referring to Big Teeth and Super Filly. Especially Super Filly, her design is adorable. I really hope she pops up again in later episodes. I have watched this episode many times now since my last post. This episode really does make me cry on the inside (and a little bit on the outside). The songs were perfect.Given that we had to wait for so long for this episode, it was very satisfying. I used to think that when the CMCs get their cutie marks, the show will end. But now I realise that this is hardly the case. 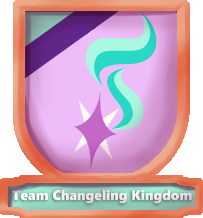 The CMCs have achieved so much so far and have got their cutie marks but the have also shown us that they can achieve a lot more. The CMC have their own Magical Mystery Cure!!!! So we got some DT (maybe even a little SS) character development, which was nice. It also set the stage for the CMC's character development, which was great. I liked that episode; feels both refreshing and nostalgic at the same time. You kind of see how far they've all come. After re-watching the episode, I do agree with other people that have stated that the pacing of the episode could have been better. The segment of the episode where Diamond Tiara confronts her mother at the Ponyville schoolhouse and had a sudden change of heart saying that the CMC are her friends felt abrupt since she had wanted to be reinstated as the class president only a few moments ago. Also, the fact that Diamond Tiara's mother happened to be at the schoolhouse felt contrived. However, it was probably difficult for the writers as they had to priortise some scenes over others and attempt to fit everything in one single episode. Nevertheless, with the catchy songs, great dialogue and all the feels, it still remains my favorite episode of the season thus far. Would it be remis to point out that the CMCs are essentially doomed to an increasingly awkward lifetime of looking at children's arses? this episode just make my entire life explode! though it was fun! and really beautiful!!! So, having recently joined, I feel a desire to chime in on this one, I've watched and re-watched this episode dozens of times, trying not keep in the liquid pride... it's been a failed effort. I understand the issues folks have with pacing, but over all I view it as necessary to make this the jewel that it is within the many episodes of mlp. While I admit that putting this much into a single 22 minute episode can be rough, I hope that they explore the growing friendship between Diamond, Silver and the Crusaders in future episodes.. I believe there is rich ground to explore there. Lots more I could say, but I think most of it has already been said. First of all, the pacing was held very well throughout the episode-until the last five minutes, where what was supposed to be a very important event in the show turned out incredibly rushed. However, the character development was excellent, and what stood out to me most was Diamond Tiara's solo in the middle of the episode. I usually do not enjoy songs in episodes, excluding the EQG series. But this song was absolutely great! It is obvious that the writers put lots of work in creating a perfect solo for Diamond Tiara. This episode caused so much happiness, I think I may have got a cutie mark myself.